We are so excited because it’s finally summer and that means one thing. 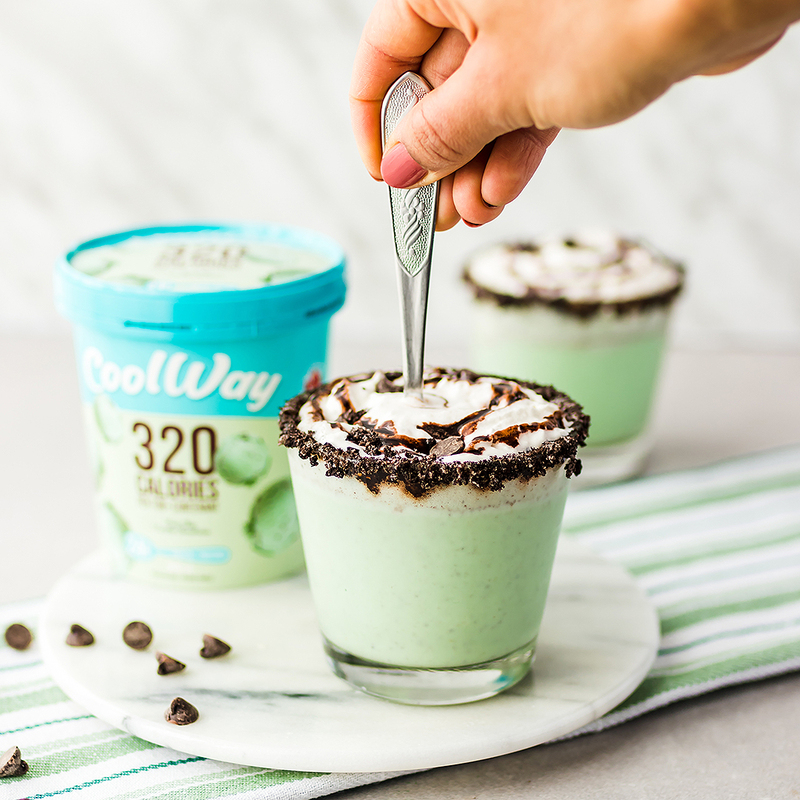 Delicious summer treats! We are all about finding something tasty to sip on. Our favourite summer sips are ice cream flavoured cocktails! 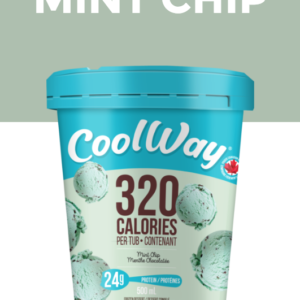 What better way to enjoy summer then to sip on CoolWay frozen treats with a kick! 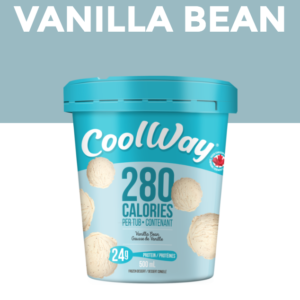 CoolWay, Canada’s tastiest low-calorie ice cream. 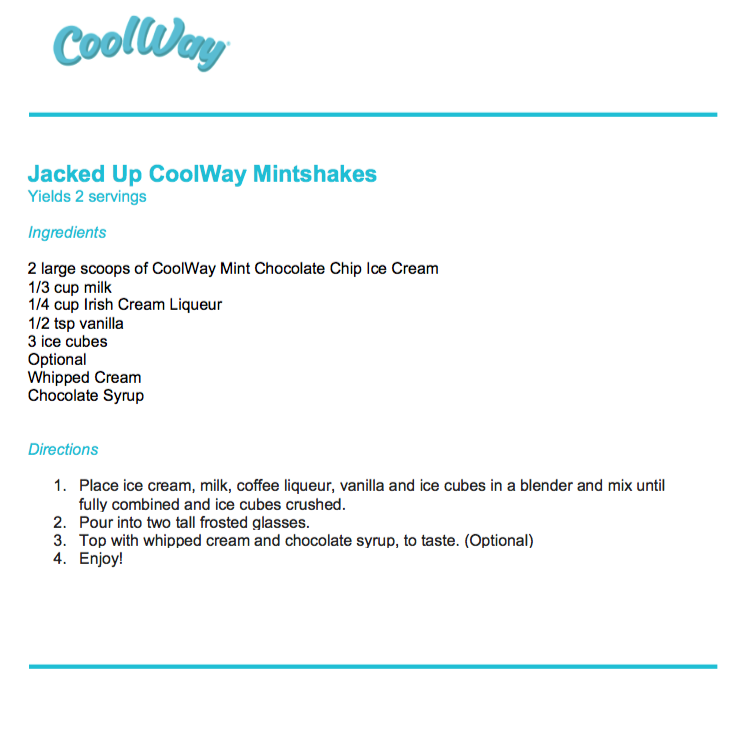 In an effort to help you enjoy the perfect summer treat take a peek below to see one of our favourite jacked up shakes, the Mintshake! Try your hand at making your own concoction or follow the recipe. 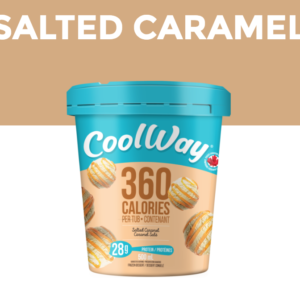 Worst case scenario, you just end up eating the entire tub – no judgement here!